Maintaining your vegetation growth to prolong your siding and shinglesBy Pete BuschLike all things our trees and shrubs in our yards need periodic maintenance. Honestly though, as a home inspector I couldn't care less about the health of your trees, shrubs, or flower garden and if you asked me for growing advise I wouldn't know what to tell you. What I can tell you though is if you don't keep them trimmed away from your valuable siding or roof you will cause abrasion damage which. 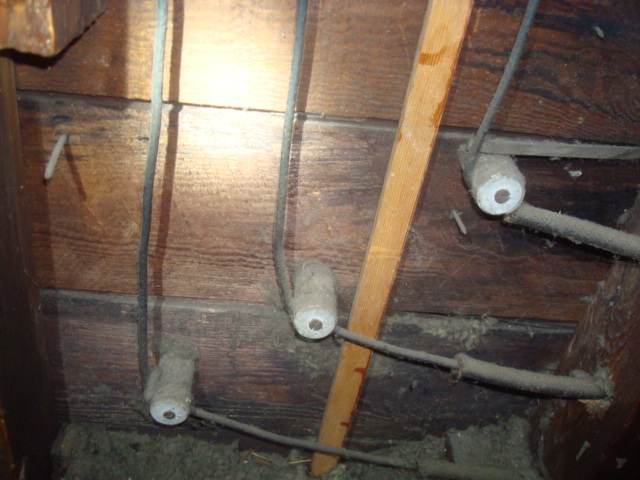 Improper Landscape GradeBy Pete BuschA very common defect found during a typical home inspection is high grade. High grade when your yard is too high where it meets the side of your house. In most cases this problem is caused by the homeowner adding too much fill or landscape material next to their home not realizing their causing a future problem.Your basement foundation walls are typically concrete block or poured concrete. At the top of the foundation walls is where your wood framing starts. To. Furnace Tune Up And Safety CheckBy Pete BuschA forced air furnace is an appliance that is typically forgotten about until it stops working. Furnaces are installed in the ugliest room in the house, their anything but exciting, and are generally taken for granted until something breaks on it, or even worse, creates a deadly carbon monoxide condition inside your home.I know were all still thinking its summer but winter heating season will be upon us very soon. Now is the time to call your local.